Free** MOBILE internet Chip if you book at least 3 days! 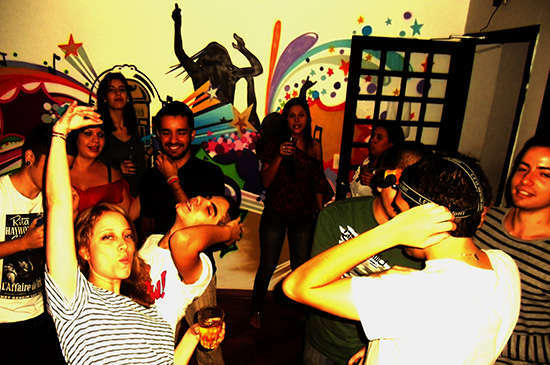 Make your stay in São Paulo pure FUN! Over a city map we'll mark out the best and coolest spots for you to visit, when to go, and how to get there. 2 Blocks: Paulista Avenue, 2 metro stations and a hypermarket open 7 days per week. Free shots and happy hour in our own Beats Bar. Chill out in our urban backyard. Sleep safe in fresh sheets and start your day with free breakfast. Well illuminated street with shops open till late. Avenida Paulista at 2 blocks. Metro stations at only 300 meters from the hostel, Brigadeiro and Trianon-Masp. Our street has a continuous flow of taxis passing by. The Airport Shuttle Bus stops at about 350 meters from our hostel. 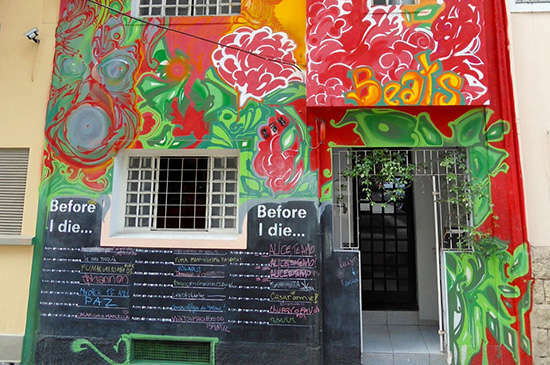 The hostel is located in the old Italian neighborhood, Bela Vista, also known as Bixiga. We're a 5 minute walk to a supermarket open till midnight. Check the nearby Museum MASP and Casa das Rosas. Within a 2km circumference from Beats Hostel São Paulo you'll find MASP, Rua Augusta Street, Sé Cathedral (historical city center), Casa das Rosas, the 13 de Maio Street, Park Ibirapuera, the Municipal Theatre, The Japanese district Liberdade and Shopping Paulista Mall. Within only 8 metro stations you will find the Pinacoteca Museum, The Soccer Museum, and the Zoo. Free cancellation! Free cancellation! Free cancellation! Free cancellation! Free cancellation! Free cancellation! Free cancellation! Free cancellation! Free cancellation! Free cancellation! Free cancellation! Free cancellation! Free cancellation! Free cancellation! Free cancellation! Free cancellation! Free cancellation! Free cancellation! Free cancellation! Free cancellation! Free cancellation! Free cancellation! Free cancellation! Free cancellation! Groups of 4+ people need to contact us by email for receiving possible additional policies. For large groups there will likely be some kind of pre-payment required to guarantee the booking. In this case, you will need a credit card.